Using flamboyant plants to evoke tropical gardens is the hottest trend in the gardening world, perhaps best described as the "banana and canna" style of garden design. Hot Plants for Cool Climates makes clear, for those of us without greenhouses or the time and muscles to dig and wrap plants for winter, that this look can be achieved by using tropical-looking hardy plants or by planting container gardeners that can be moved indoors before first frost. Most tropical plants are perennial in their native habitats, and if we lived in Hawaii, we too could grow agaves, Elephant's Ear, and Angel's Trumpet outdoor year-round. For those of us who garden in less benign climates, the authors give instructions on mulching and wrapping such plants to protect them from freezes. It involves straw and burlap and leaves the plants looking like mummified little soldiers, but able to withstand temperatures 20 degrees lower than without protection. 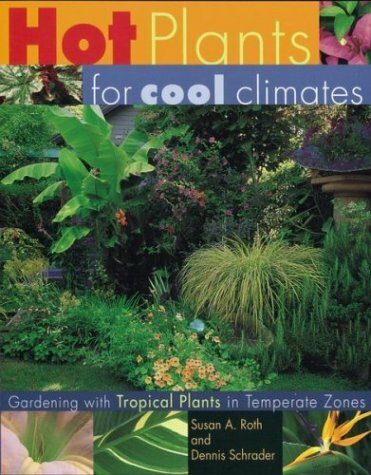 As a professional horticulturist gardening in zones 5 through 7, I have searched high and low for a good reference book on tropical and subtropical plants. At last I have found it! Hot Plants for Cool Climates is informative, interesting and well-organized. The design suggestions are new and exciting, and the encyclopedia is stuffed with detailed information regarding cultivation. Particularly helpful were the cultivar names listed under each species (god help me, how did they ever whittle down the list under Coleus?) and the overwintering tips. Serious amateurs and professionals alike will benefit from owning this book. Although I am a mere "weekend, small-patch" kind of gardener, I have found that "Hot Plants for Cool Climates" is as wonderful to own as some of my favorite cookbooks. The stories accompanying each plant description feed the imagination of a gardener as do ingredients in a recipe. Informative in its scope yet poetic in its breadth, this book is a delight to the heart as well as to the eye. 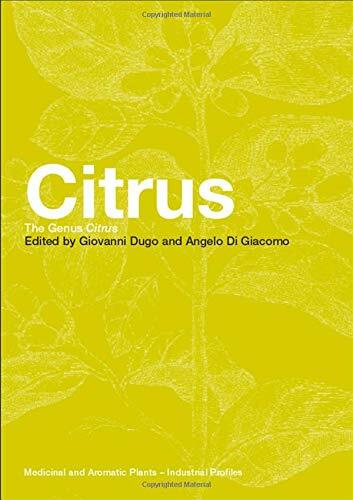 This book makes it delicious to dream of someday tending a much larger garden, and it provides the reader with not only the creative inspiration, but also the tools of knowledge with which to plant a tropical paradise that can thrive in a temperate reality. Tropical gardening here in the the Midwest has been a passion of mine for over 20 years. I never thought of it as different just big annuals. Thats what I liked about Susan's and Dennis's approach to this book. It was really laid back there just plants was the feeling I was getting from reading this book. They didn't make it complicated. I liked the real expectations they had in the book no hype about growing you own table ready bananas in Maine or something crazy like that just pure and simple you are growing them for the foliage effect don't get carried away. Bananas are just big cannas and brumansias are really big coleus they put it simple and gave great advice and the garden shots are great a real inspiration. The over wintering section was worth the price of the book. If only the content lived up to the title! When I first saw the title of this book, I thought it was exactly what I was looking for. But that turned out to be because conceptual accuracy was sacrificed for verbal cleverness on the cover. The book has little to do with gardening in temperate zones (horticulturally understood to be climates free from extremes of heat or cold), or cool climates (horticulturaly understood to mean climates with heat-deprived summers). 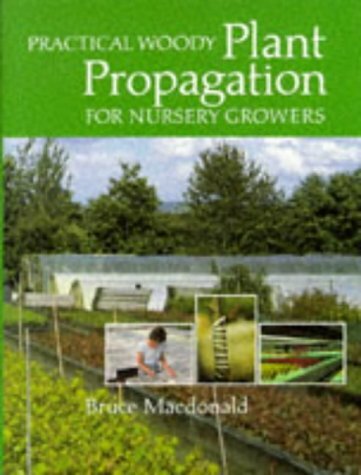 To the contrary, the book presumes that the gardener lives where there is a significant season of sustained heat, during which time plants will quickly establish themselves from plant-and-pull frost protection measures or regenerate as root-hardy returning perennials. The book is aimed at gardeners in the East; West Coast gardeners will probably be happier with books that advocate attaining the "tropical look" with plants that feature year-round outdoor hardiness and don't require summer heat to perform well. 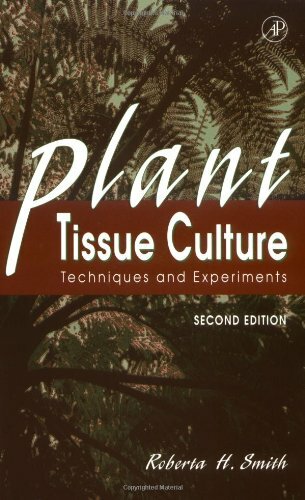 Plant Tissue Culture, Second Edition provides laboratory exercises in plant tissue culture that demonstrate major educational concepts. The experiments can be conducted with a variety of plant materials that are available year round from easily accessible sources. This course book will give students diverse learning experiences in a semester course. 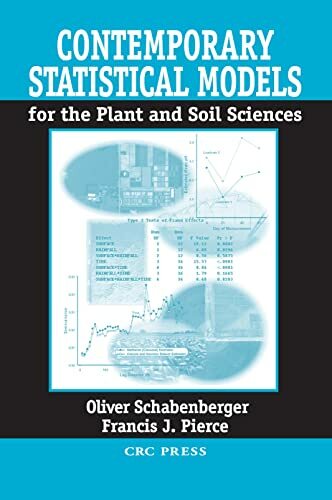 New and experienced plant scientists in agriculture, university, and industry settings will also find this concise manual to be of great value. Now in a newly revised edition, Botany For Gardeners is an instructional, scientific text written specifically in everyday language for gardeners, horticulturalists, and lay people. 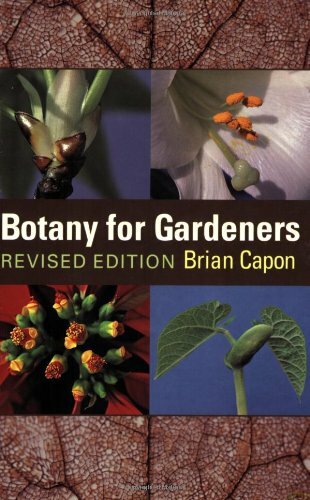 Author Brian Capon, a former professor of botany with thirty years' experience, explains how plants are structured, how they adapt to their environment, how water is transported from soil to leaves, why minerals, air, and light are important for healthy plant growth, how plants reproduce, and much more. Black-and-white diagrams and color photographs illustrate this superb self-teaching tool for the truly dedicated gardening enthusiast. 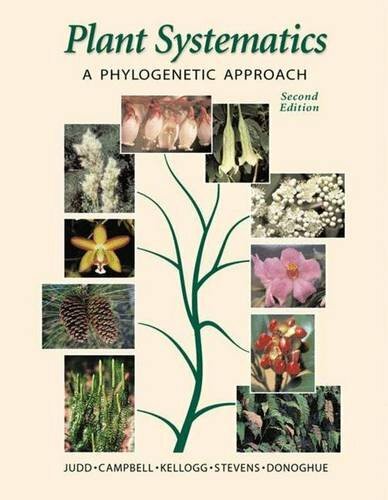 Plant Systematics: A Phylogenetic Approach, Second Edition is an introductory text that incorporates phylogenetic principles and methods throughoutfrom the careful explanation of phylogenetic methods and principles in the initial two chapters to the taxonomic survey of vascular plant families in the last two chapters. Orders and families are recircumscribed to represent monophyletic groups, largely following the most recent classification of the Angiosperm Phylogeny Group. The sources of taxonomic evidence are discussed, including morphology, anatomy, embryology, chromosomes, palynology, secondary plant compounds, proteins, and DNA. Molecular taxonomic methods are fully presented, and throughout the book reference is made to the results of recent studies, both molecular and morphological. 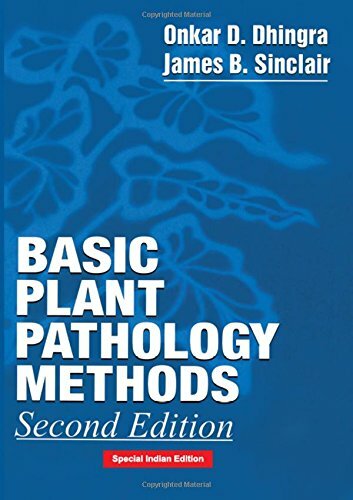 A chapter on the history of plant classification puts current systematic methods in a historical context. Issues relating to variation in plant populations and species, including discussion of speciation, species concepts, polyploidy, hybridization, breeding systems, and introgression are carefully considered. Botanical nomenclature and field and herbarium methods are discussed in two appendices. 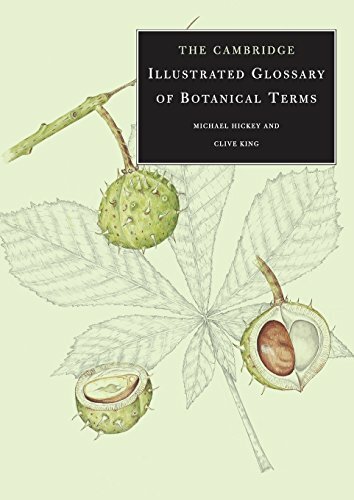 New to the Second Edition are a chapter presenting an overview of the phylogeny of the green plants (with an emphasis on the vascular plants), a detailed glossary of botanical and biological terms, and coverage of 16 additional families of vascular plants. All chapters have been thoroughly updated, taking into account recent taxonomic methods and hypotheses. 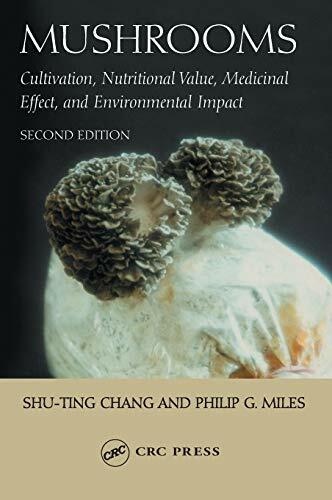 The second edition (2002) has been much expanded (from 464 to 576 pages) and has been adjusted to keep up with the (headlong) developments in this field. It also includes more descriptions of families. In some ways the book has not changed. The same illustrations were used giving it the same look. It remain an introductory book, that although set up along the lines of a systembook is only of limited use as such, since coverage is far from complete. The Appendix on "Botanical nomenclature" is still a soft spot. Not only is the (badly) erroneous bit on the naming of cultivated plants still there, but the slanted view of the ICBN has worsened (the ICBN even being called "Linnaean"!) and the PhyloCode is plugged. However this remains the foremost textbook for those wanting a start in plant taxonomy, a field that is changing ever more rapidly. Several colleagues have recently adopted, or plan to adopt the new textbook by JUDD, W. S., CAMPBELL, C. S., KELLOGG, E. A. & STEVENS, P. F. 1999. Plant systematics, a phylogenetic approach. 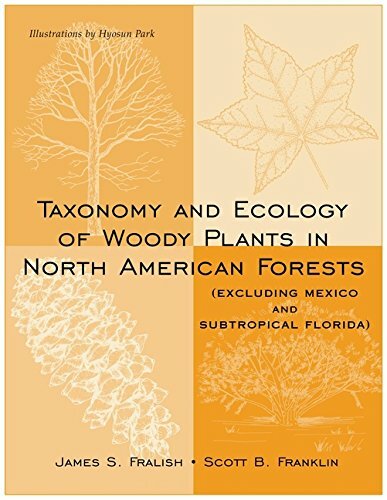 ISBN 0-87893-404-9, for teaching vascular plant taxonomy. 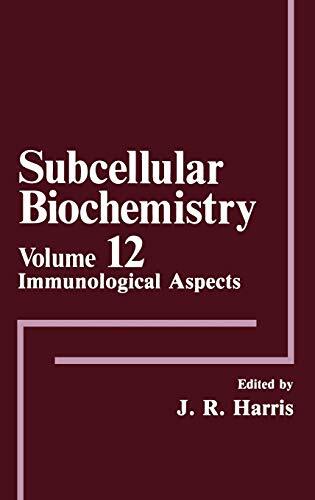 The book has some very useful introductory chapters on modern tools, which provide students with an insight on the applications of phytochemistry, mollecular biology and confection of cladograms. Surely plant (and other) systematics bear on a traditional use of systems which have inherent flaws, given the tremendous diversity os species (or whatever you can call the final taxa) they deal with. The limitations of a patchy fossil record render phylogenetic approaches, however tempting their confection may be for a plant scientist in his search of a broader understanding, a kind of Nirvana that can never be completely conquered. We can know with some accuracy how long ago currently fossilized plants lived, but anyone familiar with the concept of convergence can hardly attribute affinities to a leaf imprint not attached to a flower or vice versa. Oddly enough, some of these concerns are addressed in Chapter 1 of the book, which is not consistent with the classification system proposed [since a large number of smaller but very important families was left out]. On p. 3 the book addresses the theory-neutral approach and clearly states it's intent to go further - into Phylogenetic interpretations. Conversely the most exhaustive numeric study of all species in a single extant genus, using all characters one can securely split into states, will shed light on their similarities, providing just another elegant and often valuable way to organize data, such as a cladogram. Distinguishing similarities reflecting true affinities from those brought about by convergence remains a cumbersome task which shall always rely on traditional methods. The comment on p. 6 says: "We do not know the actual phylogeny of any nontrivial group of organisms [what would a trivial one be? ], but instead must infer phylogenies from the data available to us." I have trouble agreeing with this point of view, since available data is admittedly patchy and often inconsistent. Paths in the true cladogram of evolution can not be retraced based on assumptions. We only have access to the dense upper surface of the crown, while the gross remainder of the tree's branches and trunk are obstructed from view. No matter from which angle one looks at it, Phylogeny draws on a generous dose of guesswork. On the practical purpose of classification, I cannot but paraphrase CRONQUIST (1988:12), one of the traditional taxonomists excommunicated in this book: "In taxonomy, consistency must always be secondary to the primary objective of recognizing natural groups on the basis of all available information". Fitting the entire universe of traditional knowledge and current advances of plant systematics into a comprehensive book for students at any level poses obvious problems: How does one cope with limited space to organize the maelstrom of data? Our minds need to create categories in order to control storage and retreival of information. Obviously some omitting is inevitable, but at least the general idea of diversity must come across. In that sense I am especially intrigued by the comment by Michael Donoghue in the foreword "Students will readily appreciate the desirability of abandoning ranks altogether." Following one of the modern trends, some groups of plants in the book's system, (for ex. used for Orchids in Dahlgren's treatment) are named using formal taxonomic rank, while other are not. If a group is recognized as separate, why not give it a rank? One inherent function of ranks is providing a common language - the only method of sharing knowledge currently used by humans. It must be recognized that the way in which ranks are currently applied is not problem-free: why must there be a defined number of them, let's say, between family and species? Rather than eliminating ranks, we should create new ways to apply them and see them. No matter how deeply modern views have shifted, we can never entirely erase nor replace the results presented in old publications. Students need to know and understand important footsteps in 2 centuries of botanical investigation, which have paved the way toward current advances. We can now add new characters from an arsenal of chemical and mollecular data, ecological observations and a substantially improved matrix of geographic data. Regardless of academic rank, we are all students with a mission to discover and organize information and convey knowledge, not to ignore, misplace or ommit data. How can a student fit families like the Acanthochlamydaceae, Acoraceae, Boryaceae, Burmanniaceae, Corsiaceae, Costaceae, Didieraceae, Epacridaceae, Lemnaceae, Velloziaceae or Xyridaceae into such a system, when they are not even in the alphabetical index? A good system must account for every component as best it can. Misplacing taxa (implicitly considered the most common flaw of traditional classifications) is still better than making-believe that odd parts don't exist. The argument of producing a textbook for undergraduate courses does not justify the omission of important plant families. Students deserve to start out at least with a complete set of families and the tools to recognize them. Even a great job of organizing a mere subset of information has very limited practical value, especially if Phylogeny is one of its main goals. Some of the smaller families which were left out are very important from both the taxonomic and the phytogeographic perspectives. Despite some hardships such as dichotomic keys starting with presence or absence of betalains, Cronquist's system remains the most recent comprehensive reference guide to the diversity of flowering plant families, simple enough to be used at the undergraduate level. Though data from modern sources, such as molecular and chemical, are used in the introductory chapters, it is not quite clear how this data was usen in confecting the classification by JUDD et al., and there is no way of knowing whether the new system proposed shall hold its consistency after all omitted families of vascular plants are included in the data. The book of W. Judd is essential to all Botany student and studious of Systematics and General Botanical. For the ones that still feel difficulties in the comprehension of the concepts of Phylogenetic Systematics, the clear text and explanative allows a very clear vision of the whole process. The approach of the initial chapters, mostly of the chapter 2 is too much elucidative, allowing to the reader if involve with the study themes, learning simultaneously all vision of the phylogenetic systematic current. It is a book that can't miss in shelf of any botanist or studous of plants. Dr. Judd is an amazing lecturer and has provided an excellent pictorial CD along with the textbook. 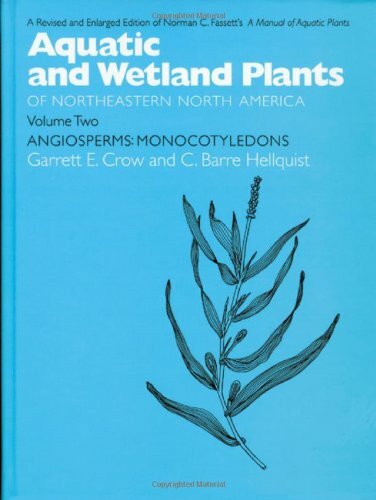 While this book is used as as a college text I often refer to it when discussing plants in general. The Bible of the Agaves is back in print! 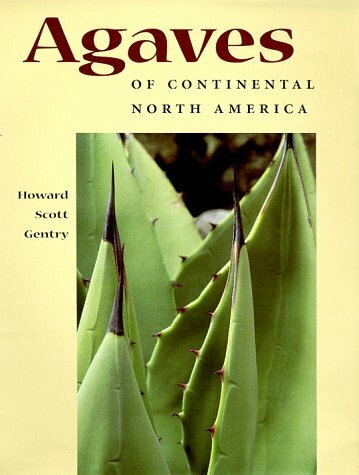 Back by Popular Demand The University of Arizona Press called this week, to let me know that they have reprinted Dr. Howard Scott Gentry's Bible of the Agaves..."Agaves of Continental North America." This book, originally printed in 1982, is an indispensable guide to the Agaves, a group of plants that have been used by the people of Mesoamerica for well over 9,000 years. With a copy of this book in your fat little hands, you can learn how to brew up a few cups of killer Mescal and weave a mat to rest on while you contemplate the authority of your brew... Dr. Gentry gave twenty-five years of his life to the Agaves, conducting field research from central Nevada south to the islands off the coast of Panama. Widely recognized as the world's leading authority on the Agaves, Dr. Gentry was an agricultural explorer for the U.S. Department of Agriculture for more than 30 years. I first met Dr. Gentry while on a field trip in Mexico in the late '50's. I was asked to be his mailman. I delivered mail from the U.S. to him and took mail back to post from El Paso. I learned more about the Agave family in one night around the campfire than I could have learned in two semesters at a University. I was invited to a reception honoring Dr. Gentry back in 1982 at the Desert Botanical Garden in Phoenix. The occasion was a giant celebration of the publication of the book Agaves of Continental North America. Part of the funding for the book was from a grant from the National Academy of Science. A day after the reception, Dr. Gentry took me over to his office to share some field data and photos with me. When I asked Dr. Gentry about the fine points of funding research and writing, he smiled and said: "You know, I would rather re-write the entire book and do all of the field work all over again than I would fill out all the paper work necessary to obtain funding from the National Academy." Dr. Gentry's book is one of those rare books that speak to the scholar and to the layman. 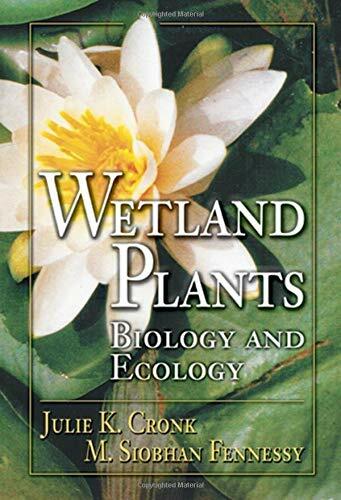 Every serious student of desert plants needs a copy of this book. I know that Dr. Gentry is in Agave heaven, visiting with Mayahuel, the Goddess of Agaves and together, they are profusely thanking the University of Arizona Press, for this important reprint! One of the classic books on agaves: a resource. 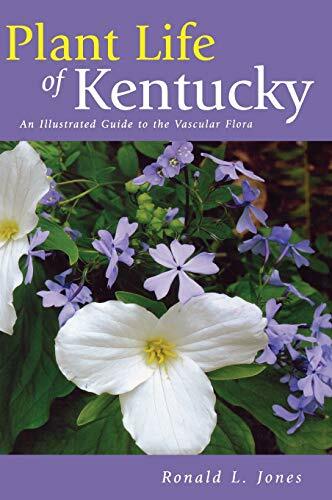 Plant Life of Kentucky is the first comprehensive account of the native and naturalized ferns, flowering herbs, and woody plants of Kentucky. Ronald L. Jones has compiled detailed identification keys to families, genera, and species. The plant family descriptions contain information on wildlife and human uses, important weeds, poisonous plants, and medicinal herbs, and the species accounts provide scientific and common names, flowering periods, habitat, physiographic distribution, state and federal designations, and wetland ranking. A total of 179 families, 856 genera, and 2,600 species and infraspecific taxa are included, and nearly 2,000 line drawings illustrate the volume. 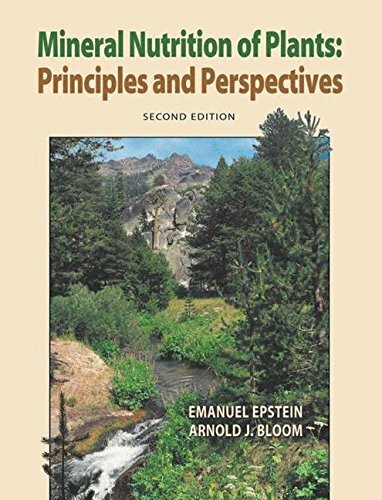 The extensive introduction includes information on a variety of topics, including the history of the flora, vegetation types, and current conservation issues. 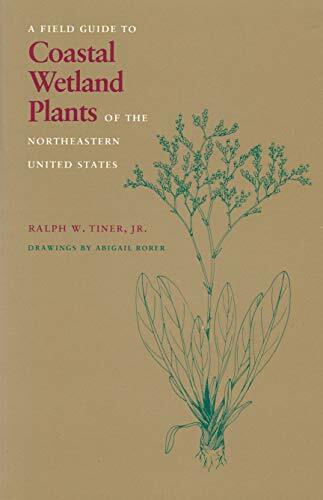 -WETLAND PLANT DESCRIPTIONS and ILLUSTRATIONS (this is over half the book, organized by environment: Each entry with name, common and scientific names, family, full description, habitat, range, similar species, and very accurate diagram drawings by Abigail Rorer. Over 150 species covered). -Sources of Other Information, References, Glossary, and Index. 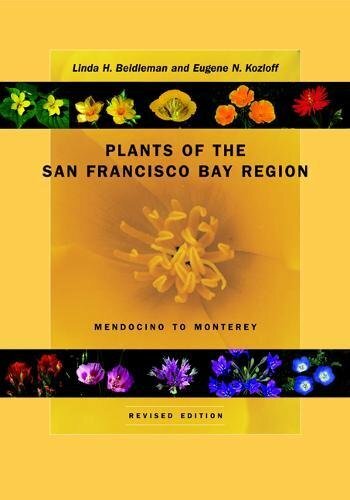 Should the author ever desire to revise or write another edition, I hope he doesn't change much, as it is good, but he might consider adding a few key upland plants which grow in extreme proximity to coastal wetland plants; these might be American Beach Grass (Ammophila brevigulata), Beachpeas (Lathyrus maritimus), Seaside Rose (Rosa), Stinging Nettle (Urtica dioica), Bayberry (Myrica pensylvanica), Sea Celery (Ligusticum scoticum), Common Sow Thistle or Beach Lettuce (Sondus oleraceae) - but these are easily learned on their own. I have always been interested in horticulture and gardening. However this is the book the peaked my interest in arborculture above all else! The possibilities here are dizzying.. While the book is comprehensive as a text the layman can jump right in to what most interests them without much prior knowledge. The pictures are very enlightening while the greenhouse techniques are practical even for partime nurserymen, gardeners, or hobbiest. This has everything on tree propagation by species. This is the bible on plumeria cultivation; there is no other work on the subject that even approaches its scope, thorough attention to detail, and even visual beauty. For twelve years it has been the source to which I have turned repeatedly for inspiration as I amassed my collection in New England; I have also referred scores of people to it for advice and given it as a gift several times. It's hard to imagine a more comprehensive treatment of the subject, from the overview of its history in cultivation, to the listings and descriptions of dozens of cultivars, to the step-by-step course in cultivating, propagating, and hybridizing plumerias. No detail is overlooked, and invaluable tips concerning every aspect of plumeria growing are given throughout. Along the way, the text is enlivened by views and comments on the plant through the eyes of mystics and poets both Eastern and Western. The abundant photographs by the authors are works of art in themselves. For any admirer of this extraordinary flower, this book is essential; by far the best and most beautiful work available on the subject. (Addressing the issue of storage brought up by another reviewer: The method does indeed work, but I would perhaps not use it on first-year plants. It is important that a first-year cutting be kept growing as long as possible so that it can develop a very strong root system. After the first year, I prefer continuing to store the plants in their pots, watering very sparingly or not at all during the winter. The problem of stem rot is usually due to a soil mix which is too moisture-retentive. There is virtually no risk of stem rot if the following soil mix is used: 8 parts (by volume) soilless potting mix, 1 part coarse sand, and 1 part perlite. I have not lost one in ten years since I began using this formula). This is a very informative, thoroughly researched book; from history to propagation, it has it all. The amateur will especially appreciate the succinct information to be found within its pages, without being too technical. If you've bought those plumeria cuttings at various fairs and garden shows, as I have, this is the book you need to really get those cuttings to produce healthy, blooming plants. The numerous colored photos throughout are a definite plus. This is THE book for growing Plumerias! Very thorough! 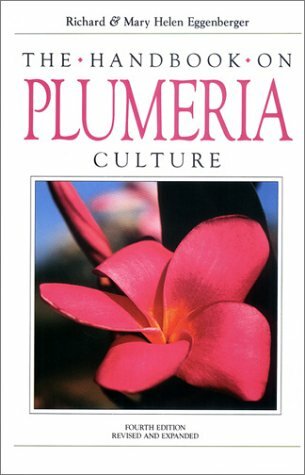 This book is THE handbook for anyone interested in growing plumerias. It gives all the info you'll need to be a "plumeria farmer." Whether you have one tree or 200, you'll find all necessary info about the following topics (and many more): classification and naming of cultivars, historical data, plant types and descriptions, propagation of seeds, cuttings, grafting, soil mixes, planting and transplanting, sun requirements, watering, fertilizing, mulching, pruning, hybridizing, pests and diseases, problems and solutions, dormancy, cold tolerance, winter storage, growing plumerias indoors, landscaping, ETC. You can grow plumerias in any climate if you know how. This book makes it easy. It includes MANY color photographs, and the entire book is on glossy paper. The Eggenbergers are experts in plumeria culture, and their knowledge is poured into this book. Despite the plug for their Indian religion in the introduction, it is a VERY valuable book. It's paperback, and has 107 pages, but contains all you need to know about plumerias.